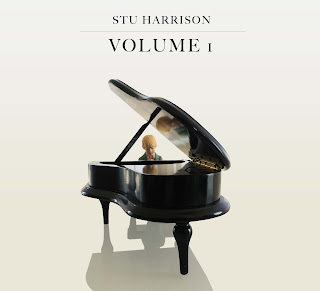 Jazz Pianist Stu Harrison swinging debut album release "Volume 1"
Volume 1 is the swingin' debut album from Canadian pianist extraordinaire, Stu Harrison. Harrison is joined by Canadian jazz luminaries Neil Swainson (George Shearing, Woody Shaw, Joe Henderson, Roberta Gambarini) on bass and Terry Clarke (John Handy, Jim Hall, Oscar Peterson, Fifth Dimension) on drums. On this album Harrison presents ten classic jazz standards, presented with modern and exciting arrangements. Sideman to many wonderful acts in jazz and pop around the GTA, Harrison finally steps into the spotlight with the release of his debut album as a leader. An Ontario native, Harrison began studying piano at the age of 3, and quickly progressed through both the Suzuki and RCM curriculums to become a competitive classical player by 16. After winning top performance prizes at several major Ontario music festivals, Harrison began seriously exploring improvisation. Harrison attended the University of Toronto’s Jazz Performance program, graduating in 2003 with an Honors Degree. He has since been consistently involved as a performer and music director, largely within the Toronto Area, over the past 10 years. He has performed in nearly every major music club and performance venue in the city, with a variety of projects including musicals, revues, jazz performances, R&B / Pop performances, and more. 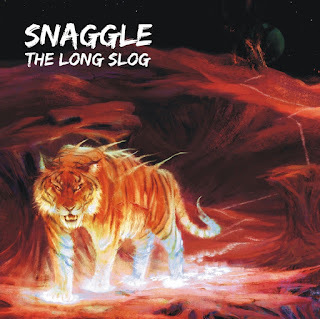 The Jazz Music Blog is excited to introduce to you an awesomely funky and fun new album by SNAGGLE entitled The Long Slog. 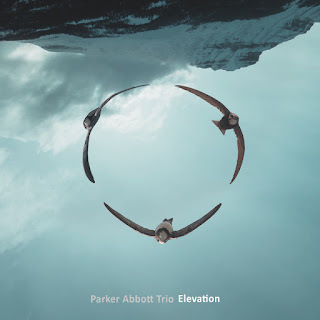 Based in Toronto, SNAGGLE, ­­ under the leadership of in-­demand 25 year old jazz pianist Nick Maclean, is a 6­-piece electric­-jazz-funk ensemble often described by media as “Canada’s answer to Snarky Puppy”. Sporting an all­-original repertoire the group has a fearless and muscular yet introspective sound likened to a cross between electric­-era Miles Davis and Rage Against the Machine. 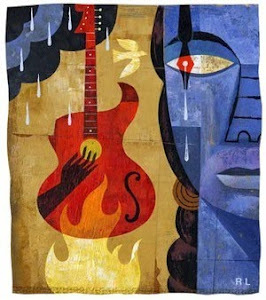 Taking elements from a wide variety of musical sources including jazz, funk, rock, and metal, Snaggle contextualizes them within the improvisational and spontaneous elements of the jazz ideology. Their uniquely brash and infectious brand of jazz­-funk is a melodically driven sound which incorporates primal groove qualities more commonly associated with pop and rock, swinging their live show from quietly contemplative all the way to explosively fierce,­ sometimes all within the same tune. The line­-up of players in SNAGGLE includes the current Guinness Book of World Records record­-holder for “world’s fastest drummer”, as well as some of the hottest twenty­-somethings on the scene, representing the next generation of irreverent, boundary pushing Canadian players and composers. Snaggle has been in high demand in the Canadian jazz festival circuit, and has been performing regularly in and around the Toronto area since 2013. The Long Slog was released internationally on November 4th, 2016. 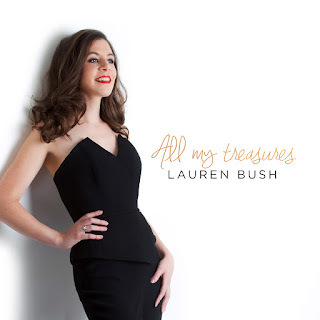 Canadian born, London (England) based vocalist, Lauren Bush, has recently released her debut album entitled All My Treasures. It's a timeless and charming journey through much loved favourites including Secret Love and Sweet Georgia Brown, mixed in with lesser known classics like Rodgers & Hart's You're Nearer and Henry Mancini's Charade. Throw in some outstanding modern arrangements, burning horn sections and the honey sweet and "charmingly quirky" (Jazzwise) voice of Lauren Bush and you're in for a real musical treat. The album was produced by award winning vocalist Ian Shaw and it premiered at the famous Dean Street Pizza Express in Soho, London to a full house. Lauren relocated to London,UK to pursue music on a new level just over 4 years ago. Daughter of an accomplished jazz trumpeter father and music teacher mother, it is no surprise that Lauren grew up to have such an aptitude for music. She ignored her gift for many years, certain that music would only be a hobby; taking voice lessons but was too afraid to perform. In 2004, on a whim, Lauren auditioned for her university big band, won the position and never looked back. Traveling extensively around North America, Lauren has had some amazing opportunities to perform. Some highlights of her career include opening for Maynard Ferguson, playing at the Victoria International Jazz Festival, playing at Elgar Room, Royal Albert Hall, being a finalist in the Riga Jazz Stage competition in Riga, Latvia and touring Northern Italy with her Italian trio and Northern Ireland with local big bands. Marty's review: "Cool and fun" is what I would call this exciting new release from Lauren Bush. With a voice that is reminiscent of some of the classic jazz divas of the past but with an original, contemporary style, Lauren has put the "fun" back into jazz and has a great time with it. 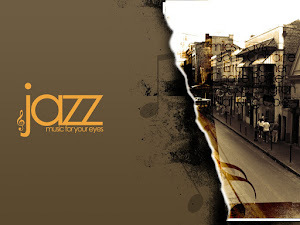 The production and arrangements are just superb with a "hot" jazz vibe from some very accomplished musicians that will have you toe-tapping and finger-snapping all the way through.